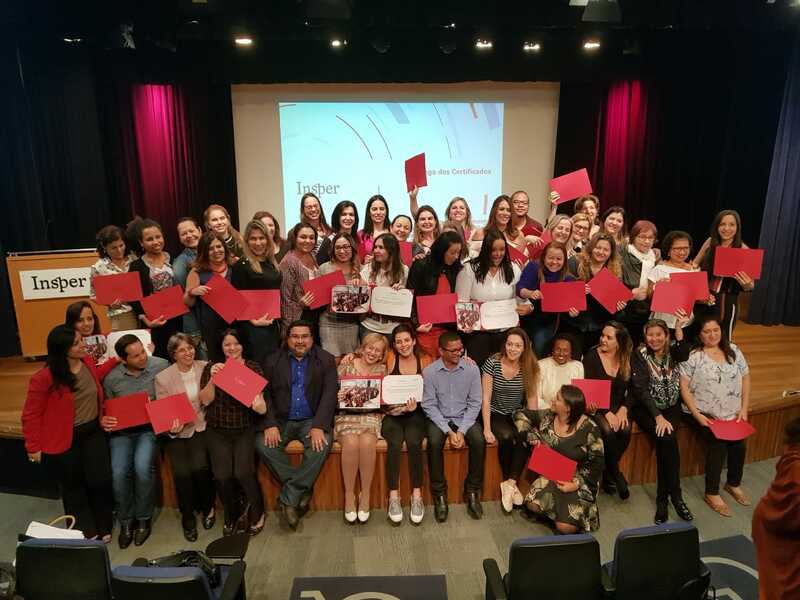 Coordinators of the Criança Feliz (Happy Child) programme from 23 of Brazil’s 26 states have graduated from a five-month course in early childhood public policy and management at Insper. We sponsored the course in response to a request from the Ministry of Social Development, which runs Criança Feliz, to help build the capacity of state coordinators to support municipalities with the scaling process, which is proceeding quickly: after only four months of implementation, Criança Feliz home visitors were reaching over 100,000 children in over a thousand municipalities. The course combined 180 hours of on-campus activities with online tutorials and field activities at participants’ workplaces. It covered issues including planning, management, monitoring and evaluation, institutional deployment and collaborative governance, and is expected to improve coordination as well as strengthening leadership at state level.